Shell Bay is a contemporary Australian wine label representing outstanding quality at a competitive price. The label was introduced in 2006 by Peter Papanikitas, to cater to the increasing demand for quality, boutique wines at the lower end of the price scale. Today, the label continues to be a successful addition to the Stonefish brand, both domestically and internationally. This range of wines make ideal house pour in bars and restaurants due to their great value for money. Unlike many wines in this price bracket, Shell Bay wines are not available in mainstream bottle shops, making them an excellent choice for your premises. It exhibits a rich fruit, soft full flavours complemented by a lovely crisp acidity of soft cream complexity. A clean, crisp palate exhibiting citrus and tropical fruit flavours with great length and a refreshing finish. Attractive aromas of tropical and stone fruit with a hint of vanilla; a delightfully refreshing wine. Blackcurrant, blueberry and chocolate aromas with a concentrate, fruit-driven palate balanced by soft tannins. Soft and supple with rich fruit and hints of toasty oak; soft, elegantly styled palate with dark berry characters. 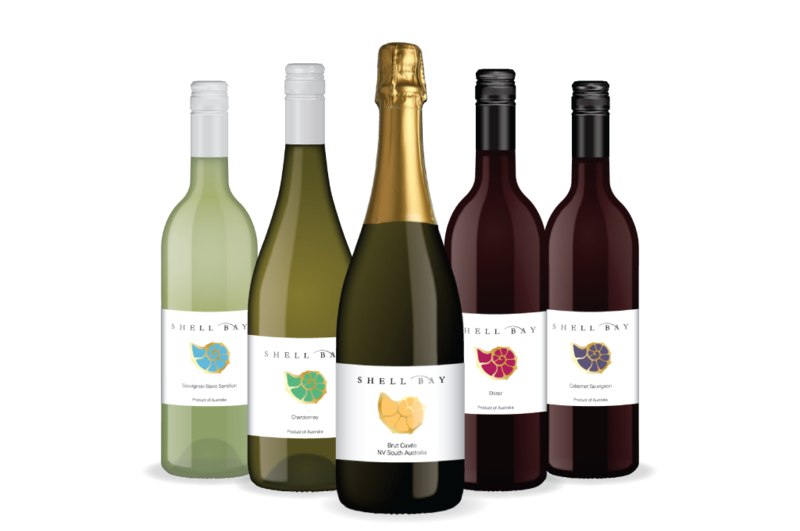 Shell Bay wines are available in Australia through Estate Wine Distributors or can be bought online through Red White & Bubbles.